Do you like rolling with things? Well, then maybe you'd like to become that spunky little droid from Star Wars: the force Awakens this year! 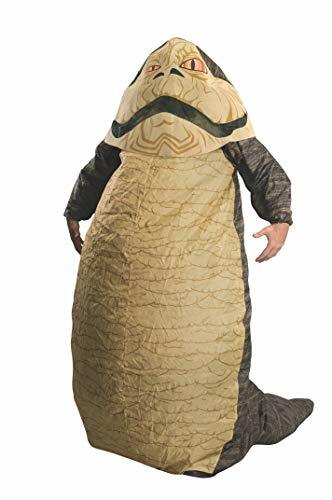 This adult BB-8 costume is an officially licensed costume from the movie and comes with an attached fan that inflates the suit to a plump, spherical shape. You'll be ready for a mission with Poe Dameron in no time flat! Become one of the keenest weapon's in the Emperor's arsenal in this deluxe Stormtrooper costume. Complete Stormtrooper outfit features a long sleeve fitted black jumpsuit with attached white molded armor pieces on the front; solid black back; molded white waist belt, and two-piece helmet. Pair with other officially licensed Star Wars costumes for group dress up fun! Includes jumpsuit, belt, and helmet; shoes sold separately. Rubie's Costume Company has been bringing costumes and accessories to the world since 1950. As the world's leader, we take our mission seriously to make dressing up fun! Mascots, rental quality costumes, masks, wigs, accessories, shoes, and every significant licensed costume you want to wear can be found under the Rubie's brand. Still family owned and still family focused, Rubie's brings you fun for every season: Halloween, Christmas, Mardi Gras, Easter, and every occasion in-between. 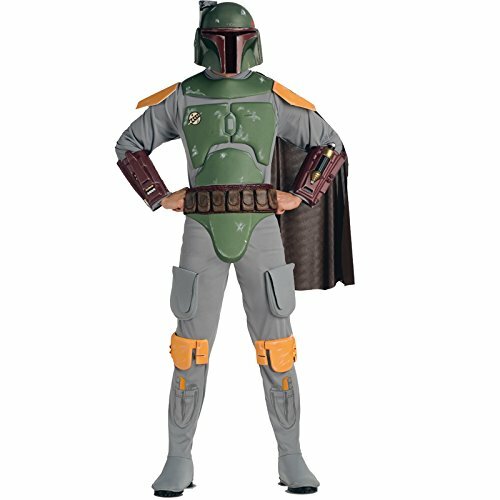 Our deluxe Boba Fett adult costume includes a cape, belt & jumpsuit with attached molded armor. A full Over-the-head 2-piece mask is also included to complete this Boba Fett adult costume. This Boba Fett adult costume comes in adult sizes standard, X-Large. This Boba Fett adult costume is an officially licensed Star Wars costume. Please note: this item's color may vary due to inherent manufacturing variations or your computer monitor's color settings. The item you receive will be identical or substantially similar to the item pictured in this listing. Our adult female Jedi costume includes the tunic, pants with attached boot tops and belt. Our female Jedi costume comes in adult sizes plus size, standard, X-Large. 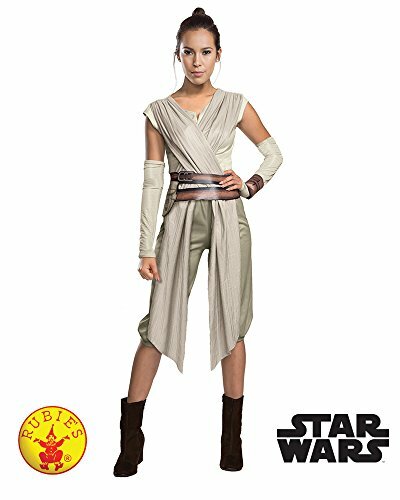 This female Jedi costume is an officially licensed Star Wars costume. The Jedi lightsaber is sold separately from this Halloween Jedi Knight costume for women. Deluxe women's Boba Fett costume jumpsuit and 2-piece mask that combine to create a helmet. 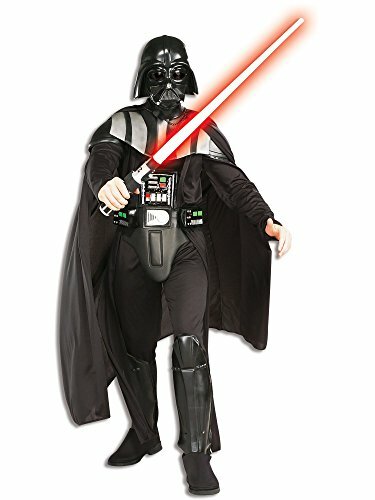 Jumpsuit features molded armor, attached cape and belt With Star wars Costumes in every size and style, Rubie's is the perfect place for your group or family costume needs. 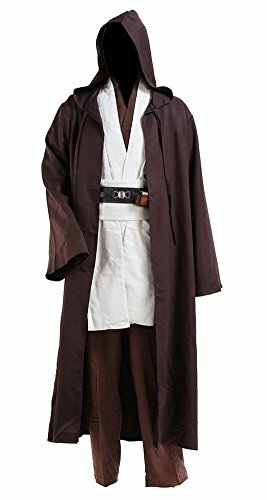 An officially licensed costume, buy with confidence directly from Amazon. You're never to young or too old to wear a costume! Whether for passing out candy, Christmas, Mardi Gras, Easter, St. Patrick's Day, Halloween, or just play time - Rubie's has you covered. Family-owned and family-operated from their 2-million square foot facility in Long Island, New York, Rubie's works every day to be an innovator in both design and manufacture of scary, funny, historical, and mythical ensembles.